Classic small game by Milton Bradley. 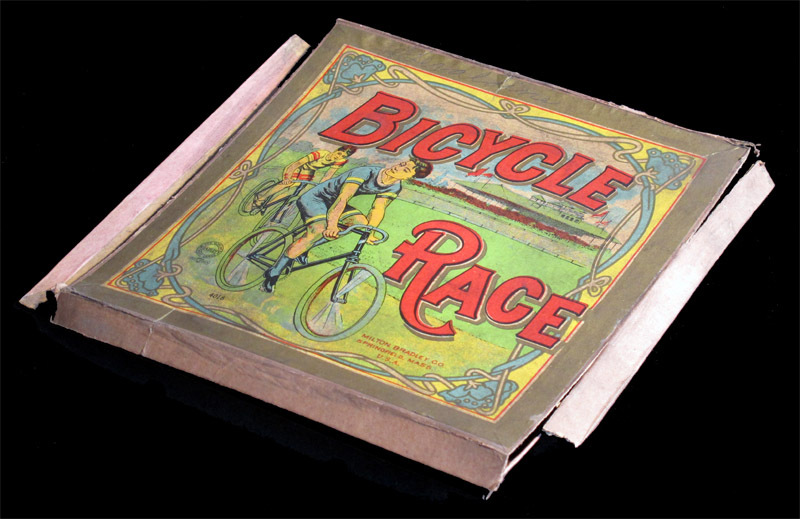 It measures 17 x 17 cms and is dated (as of 1910) in Alex G. Malloy's "American Games. Comprehensive Collector's Guide". I have two different copies of the game, unfortunately none of the in good condition. 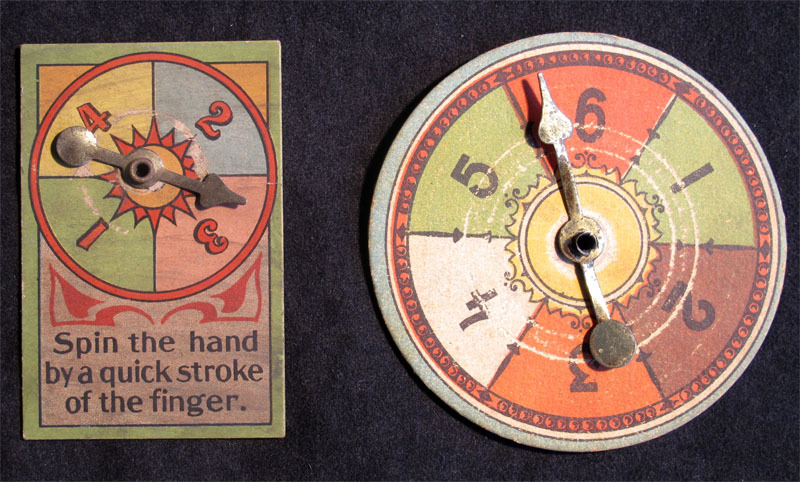 One is the box you see above, in which was a spinner numbered 1 to 4. 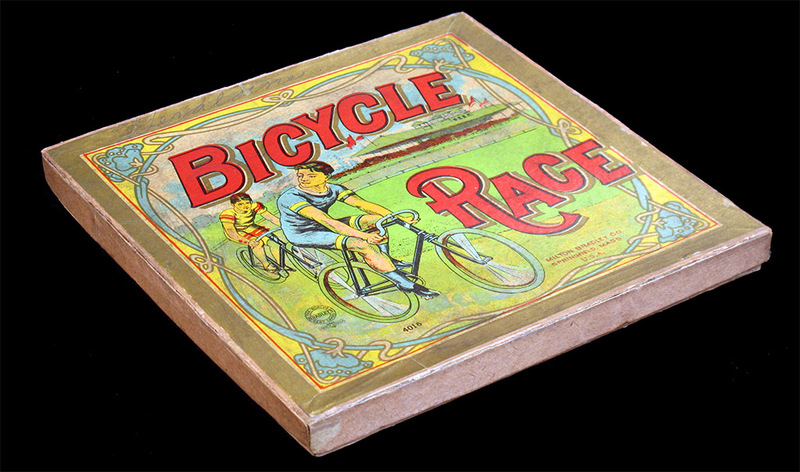 Of the second game I only have the lid of the box (with rules on the back), the board (which used to be the bottom of the box), and a spinner numbered 1 to six. 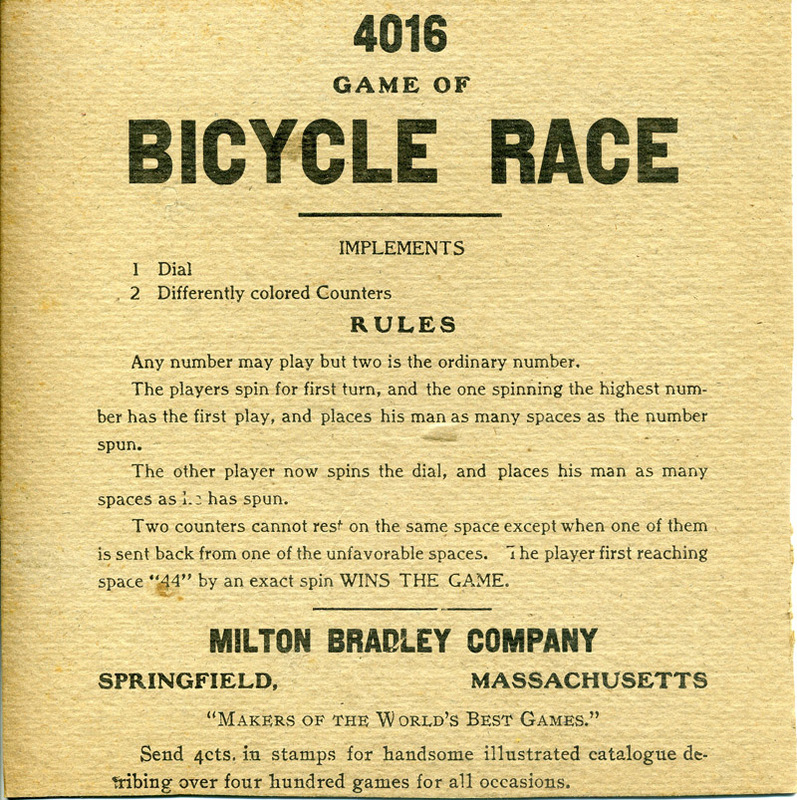 The rules are identical in both versions, but the first game (the one with the spinner 1-to-4) does not have sentence about sending 4 cts. in stamps for a catalogue. 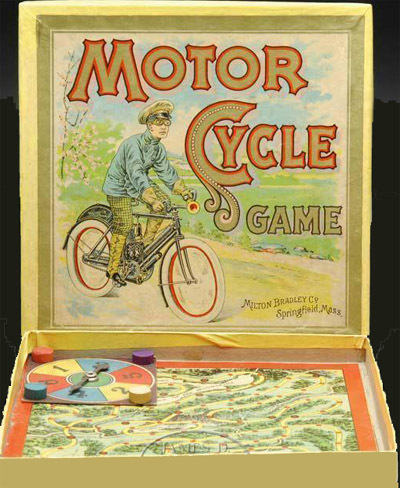 Detail of the first game. Still a couple small differences more. 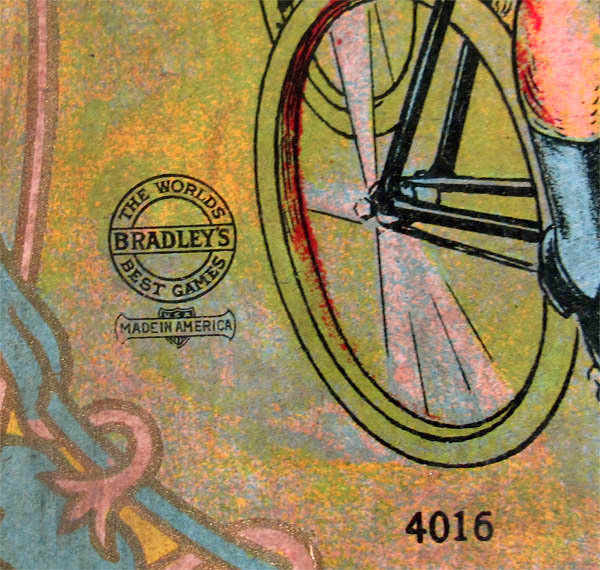 (a) The first game has the Bradley mark on the cover, while the second has a dust cloud caused by the bicycle tyre. (b) The first game has the legend (in red characters) "MILTON BRADLEY CO. SPRINGFIELD, MASS. U.S.A.". In the second game, "U.S.A." is missing. 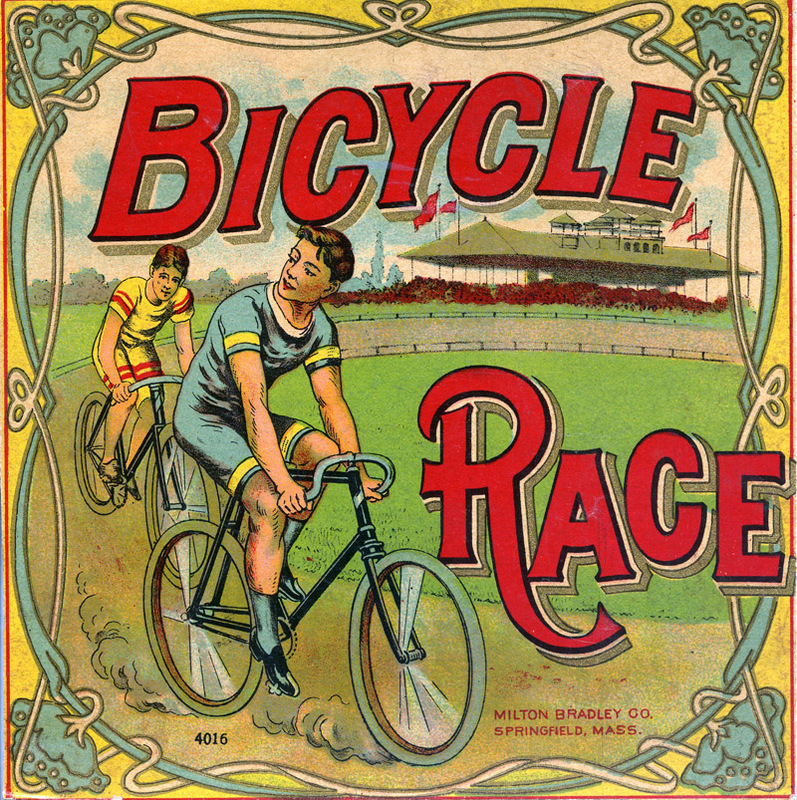 Cover of the second game. Here is a found picture (I mean, I did not take it) of another game in this series. 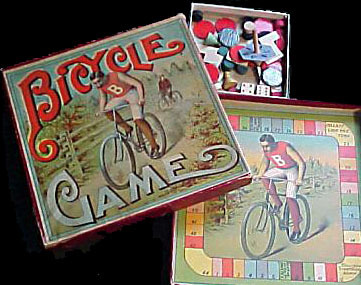 Look at this other picture I found on eBay: it is another version of the same game, but it is called "Bicycle Game". 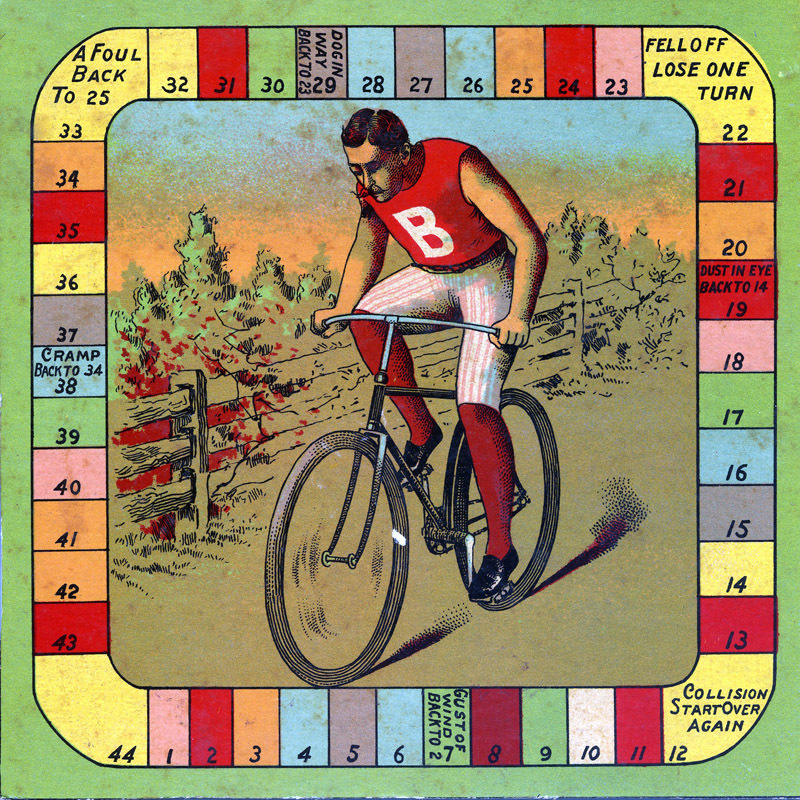 According to Malloy's book, Milton Bradley produced a game called "Bicycle Game" in 1895. It might be this one. (By the way, notice the teetotum, but also notice there are far too many things in the box, including a couple of dice).